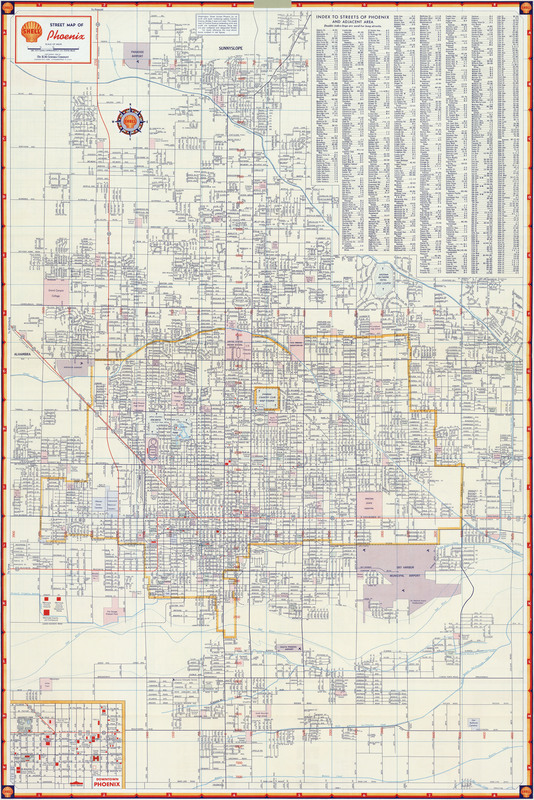 Street map of Phoenix, Arizona [gmap] from 1956. Made by the Shell Oil Company. Eh, probably interesting. But if you're curious, I have a gloriously beautiful Birdseye view of Phoenix that you might like better. 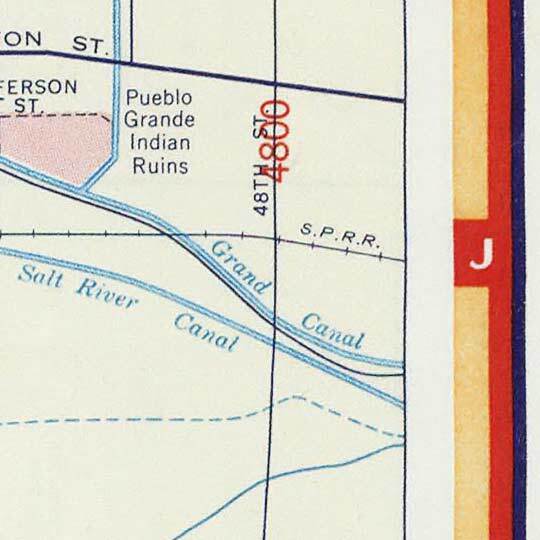 For more map resources and imagery from this period in Phoenix's history, check out the Arizona Historical Society's website. This will be a great help for those who plans on exploring Arizona.